Back in Australia – and a week passes by…. The weather is not great but still warm enough to have breakfast on the verandah. I spent the the first few days on the phone to various contacts and trying to get into the right time-zone. Somewhat frustrated by people not getting back to me. Basically I use the ‘rule of 3’ which is basically that if I don’t get a response after three tries I write it off. 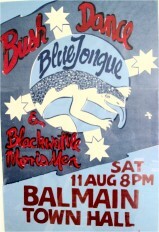 I do manage to arrange meetings with Bruce Shephens who was a member of my first professional outfit – The Bluetongue Bush Band – which used to gig around Sydney in the late 1970’s with residencies at The Dispensary in Anandale, The Covent Garden Hotel at the bottom of Dixon St and, later, The Governor’s Pleasure in The Rocks. This was the band that originally got me into ‘social dance’ scene as we tapped into the bush dance revival, running a regular monthly dance at the Surrey Hills Community Centre. I also got into this as a dancer and remember going to dances at Balmain Town Hall including one which featured The Bushwackers. On Thursday spent all day in Ringwood where my brother lives. 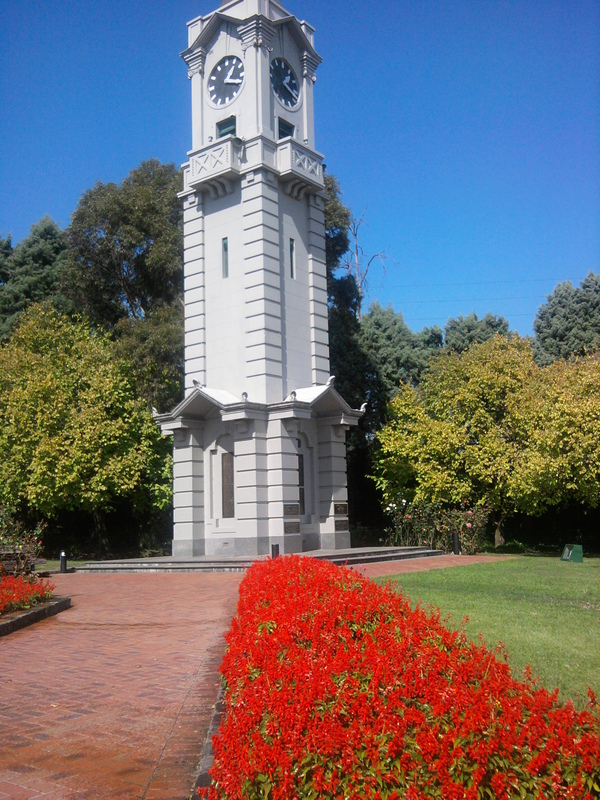 The weather had heated up to a nice 28 degrees and the flowers were in bloom at the war memorial. I don’t know if this random chance but the path to the memorial was flanked by blood red blooms . Appropriate I guess, but slightly macabre. 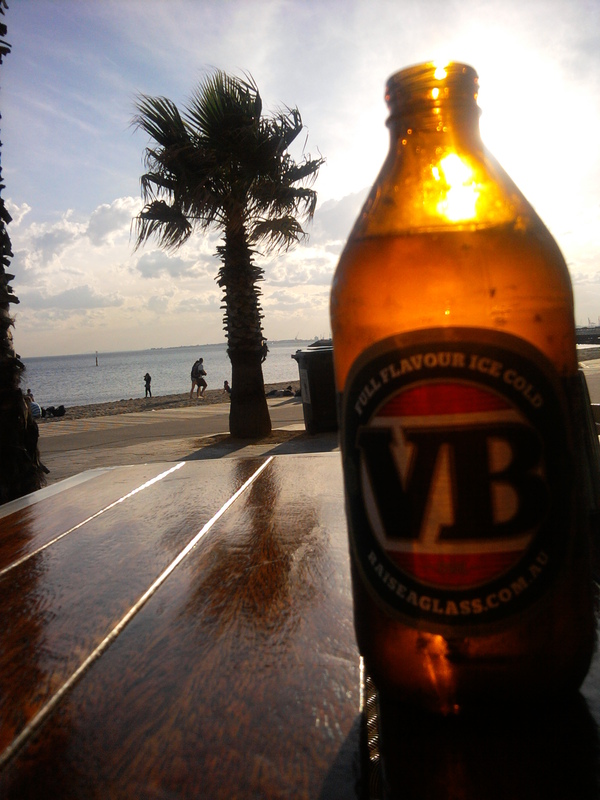 It’s ANZAC Day at the end of April, but I’ll be back in England by then…. On Friday I head over to Kew to see Hugh McDonald to say ‘hi!’. I did the track laying to about half the tracks of the WoodworX – Two Short Planx album at his studio and have kept in touch. On the way there I start to wonder whether it would be possible to record my solo album over here with Hugh producing it. 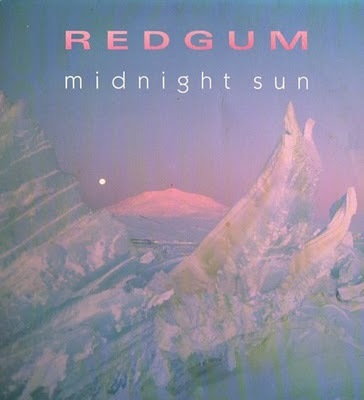 As one of my favourite albums of all time is Redgum’s Midnight Sun, this idea appeals to me a lot. There would be quite a few practical difficulties with this, especially with the preproduction phase, but with the help of Skype and so on it would work. I would mean me spending a couple of months over here next year (Oh dear, what a pity, never mind). Melbourne is just getting into Autumn and Melbourne is far enough south to support a lot of imported deciduous trees, so it has more of a European autumn than Sydney, where I was bought up. After Kew had a few hours off before my evening meeting in East Brighton so I drove down to the shore of Port Phillip bay and went for a bit of a walk. 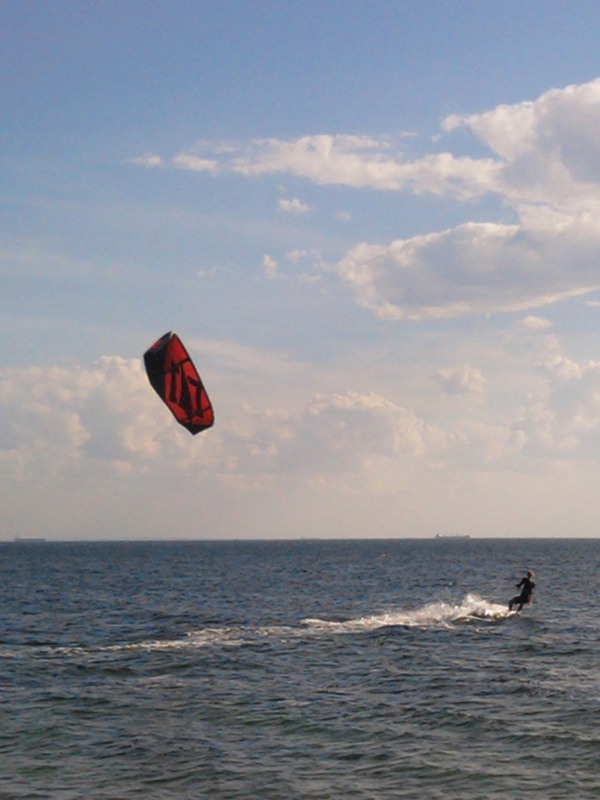 Saw some guys para surfing/boarding on the bay, it all looked pretty cool. The edge of the bay is lined with beaches but there’s no surf as it almost completely landlocked. I heard that the bay is actually in pretty good shape in terms of the ecology. There was a potential problem with nitrate run-off, but they are addressing that. More power to the Victorians, they can probably teach the north a thing or two about how to look after the environment. I ended up up at the St Kilda marina. The pier has a nice little cafe on the end which we went to last time I was in Melbourne when were doing the Fairbridge Folk Festival a few years ago. I was looking forward to a nice cold beer there but unfortunately it was closed for a private function to I had to trek back to the beach where I managed to assuage my thirst. After about 24 hours in the air on QF030 I touched down at Tullamarine just before 8am on Thursday morning. 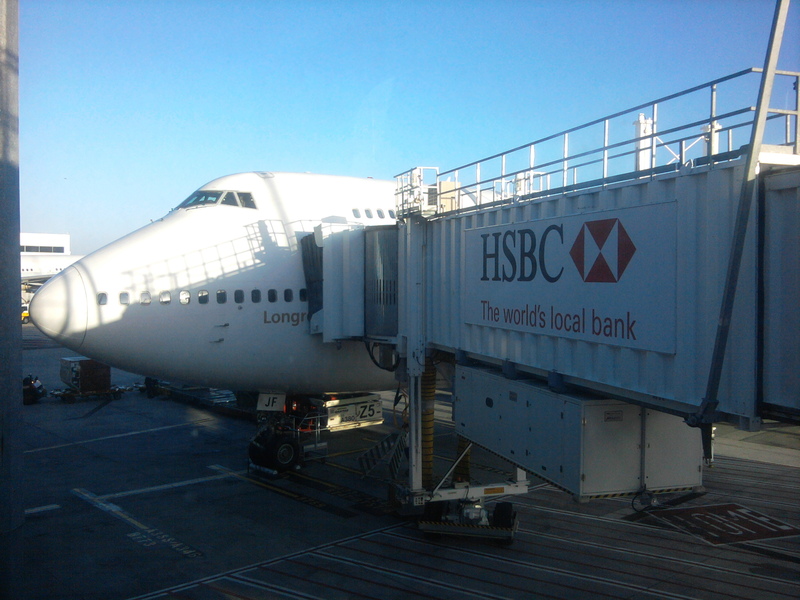 It was quite a comfortable flight with an aisle seat on the first leg to Hong Kong where they turfed us all off the plane with our hand luggage. We had to go through security again (twice) before we got back on the plane giving us a welcome opportunity to queue (twice). Peter Anderson, an accordion player of some note, picked me up from the airport and took me back to his place in West Heidelberg where I will be staying during the Melbourne portion of my visit. I spent the rest of the day sorting out a local mobile phone, getting a data dongle for my net-book PC and trying to stay awake. In the evening we went out to a local pub for food and I had my first Aussie steak for four years. 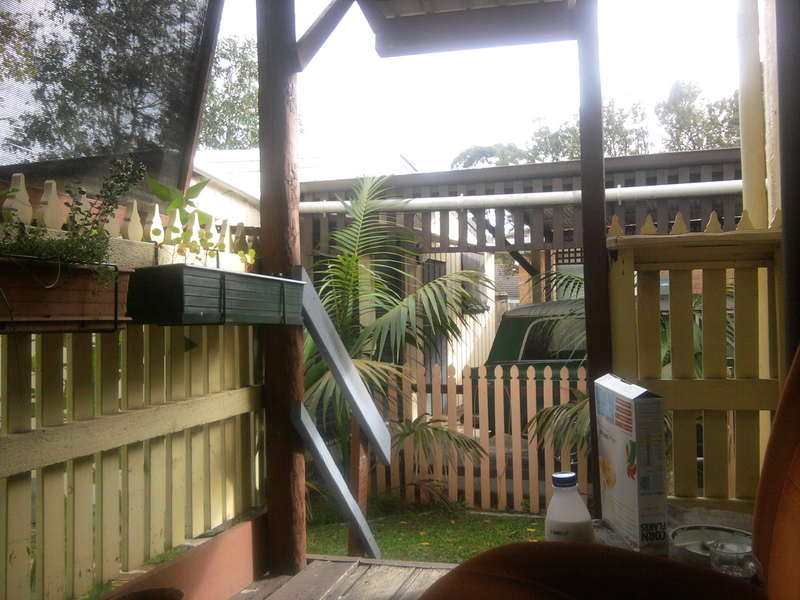 Next day I had breakfast on the veranda watching Aussie birds while I munched on my corn flakes. Pretty much another rest day apart from making some phone calls and so on. 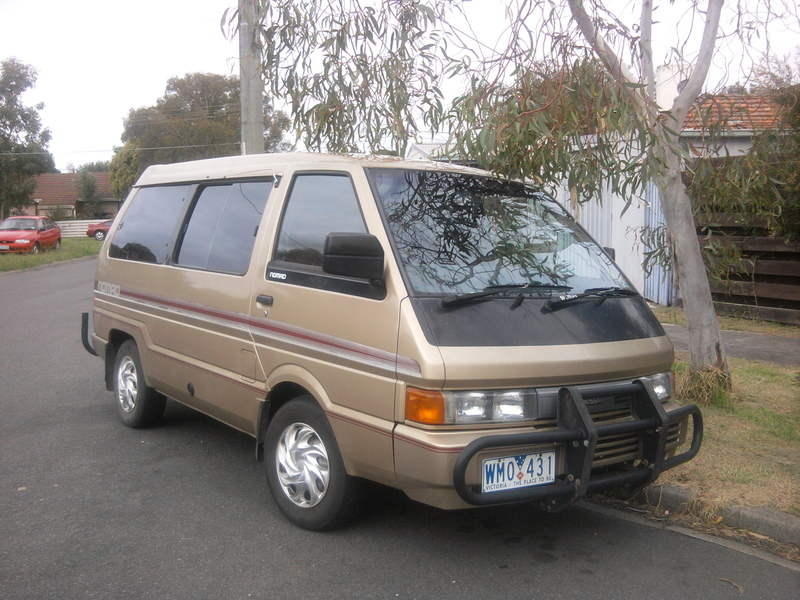 Peter sorted out the tappets on his nifty Nissan Nomad window van which he has kitted out as a camper. After being introduced to the secrets of the dual LPG / petrol system I took it for a spin. Driving in Melbourne is pretty easy compared to London, except for the trams which still make me slightly nervous. Saturday I go over to see my brother in Ringwood and pick up my lovely Yamaha Pacifica electric guitar which is in a dire need of a restring after four years on the shelf, so I pop into the really excellent Five Star music shop nearby. Also pick up a new clip on tuner and capo both of which I’d forgotten to pack. 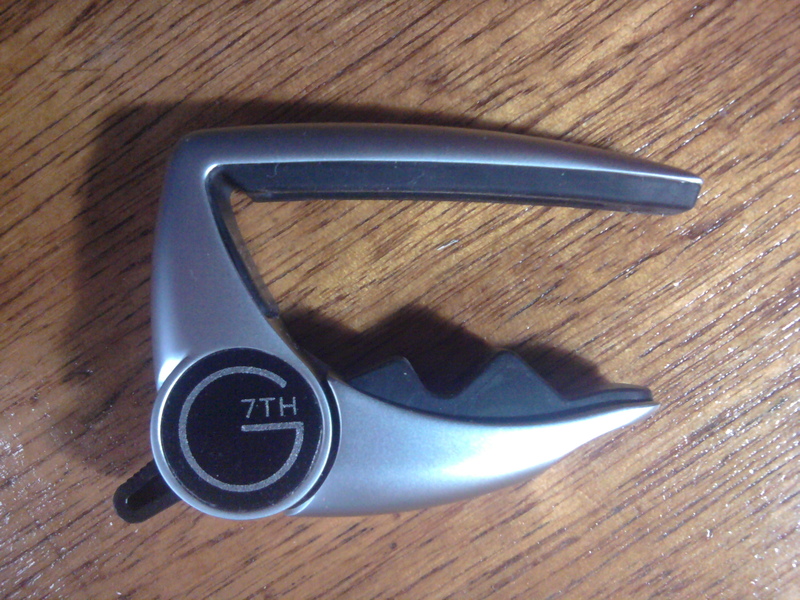 After chatting to the guy behind the counter I decide to go for a G7th ‘Performance’ capo which has a clutch mechanism rather than a spring or screw adjustment. I’ve heard good things about these and some guitarists I know use them, but they cost quite a bit more than more standard types. In the evening I go down to the Lomond in East Brunswick to catch a bit of a set by the Dancehall Racketeers who bill themselves as Deluxe Western Swing. They certainly have the sound but I think that they more eclectic than that, with some excellent blues with the aid of a couple of friends in the audience who come up to help out with vocals. Last time I was over here we did a gig here with an acoustic version of the enQ line up – it’s a great little roots venue, check it out if you’re in Melbourne. On Sunday arvo I catch the fabulous Mandy Connell at a small venue on Hoddle St called IDGAFF (which is a variation of DILLIGAF). I first met Mandy at a session on my last trip here and then at Fairbridge Festival in Western Australia where we were both performing. Since then I’ve bumped into her a number of times in England and did some gigs on bass for her in Coventry. 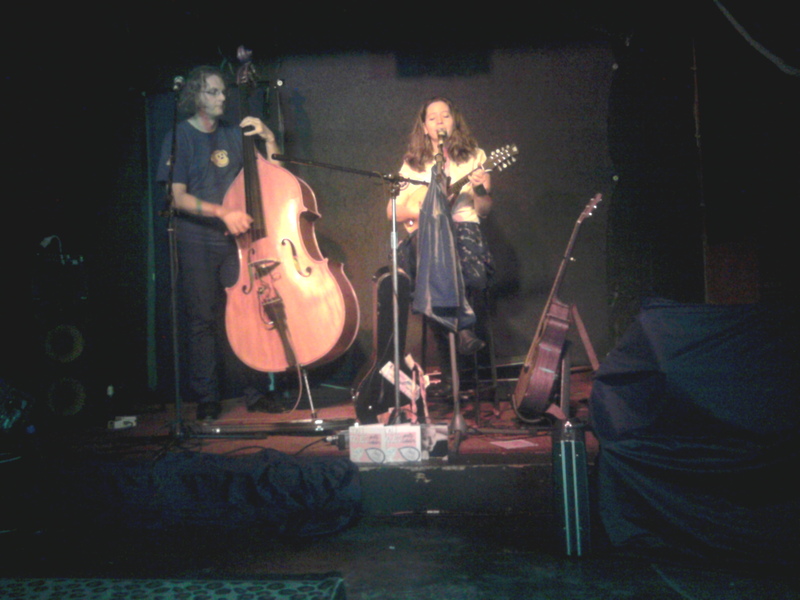 For this gig she has long term collaborator Richard on double bass and she is swapping between mandolin, guitar and some powerful unaccompanied singing. She really has an amazing voice and the skill to use it properly. One to watch I deem. Later on I bump into her again at the Lomond when I drop in for a bite to eat. It turns out that she’s going to The National Festival in Canberra, so may well get a chance to do some playing together there. There’s some more great live music happening there with the Monique diMattina Band (Honky-tonkin’ jazz). 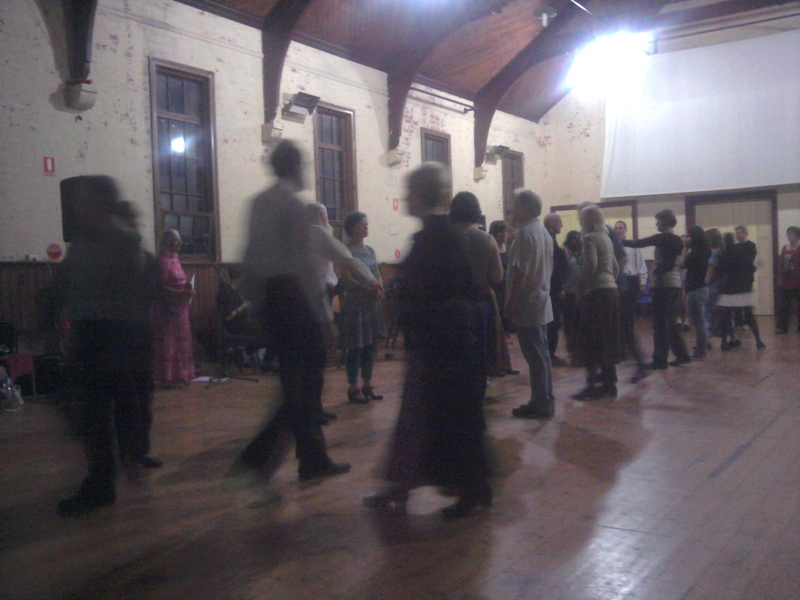 Finish the night with a visit to a local Contra Dance at a nearby church hall in Northcote. I want to get an idea of the ‘state-of-the-art’ of the local dance scene, and as contra is often cited as the the north american equivalent of e-ceilidh, I thought that this is was worth checking out. Despite the the rather bleak hall and unsympathetic lighting the dancers were pretty welcoming. The event had rather the feel of an English ‘Dance of Dance’ event with only a few youngsters leavening the older dancers. The band were young, and pretty good too, though they were playing in more of a celtic style than the smooth rhythms that I would normally associate with contra. All the dances were long ways sets (improper) and there were some very good dancers, as well as a few pretty lumpen ones. 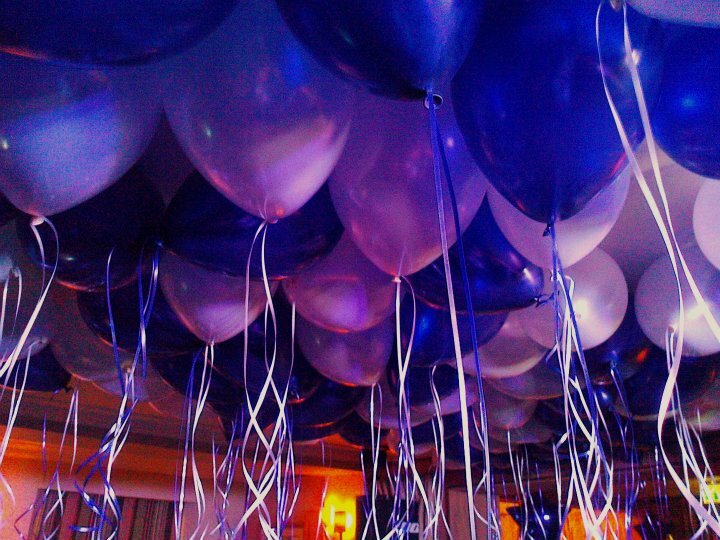 The overall impression was of a club, albeit a friendly one, and I went away with the feeling that they would be pretty appalled by the sort of thing that I do in the dance department. Anyway, I’ll get more chances to see examples of the local dance scene at the National Festival and up in Sydney. However I starting to think that I’ll need to start from scratch if I’m going to get E-ceilidh (Bush Ceilidh) onto the scene here…. 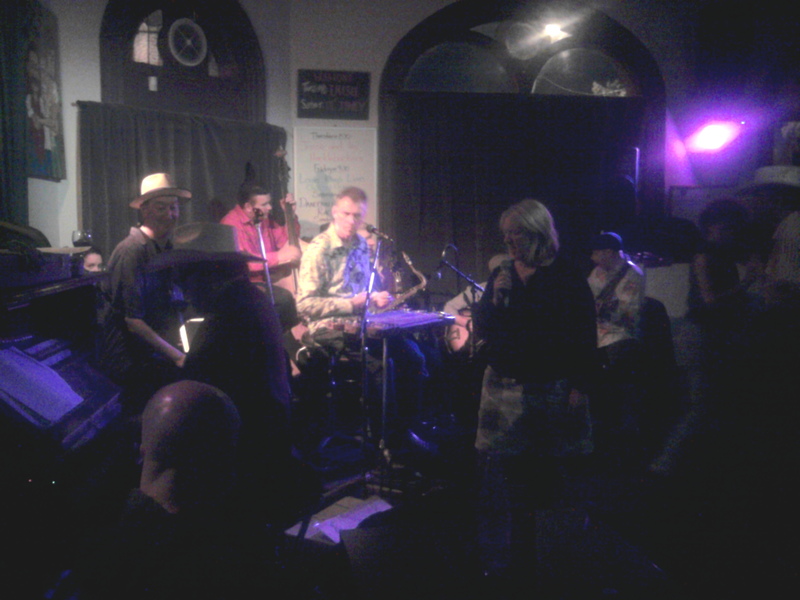 On the last day of February I went down to the Blues session at the Goat in St Albans. This jam is run by Doctor Ika, an eastern European blues guitarist of some local repute, who plays with the Grapevine Blues Band. It was quite busy, but I managed to do one song and do one jam number. The Goat used to be the venue for the St Albans Folk Club which helped kick start the career of Maddy Prior and company so might at least partially responsable for the formation of one of my favourite bands – Steeleye Span. The folk club was still running in 1985 when I moved to the town but closed down a couple of years later when the club organisers retired. This club is where I originally met Graham Goffee with whom I later formed the band Innocent Bystander. Apropriately enough I performed Forty Days of Rain, which I originally wrote for this band. I didn’t really recognise the venue from my previous experience there, I think that many of the interior wall have been knock out. However a good session and one worth visiting again sometime. On Sunday 4th of March I went down to London to be ‘read in’ to the Royal Society of Musicians as a full member. 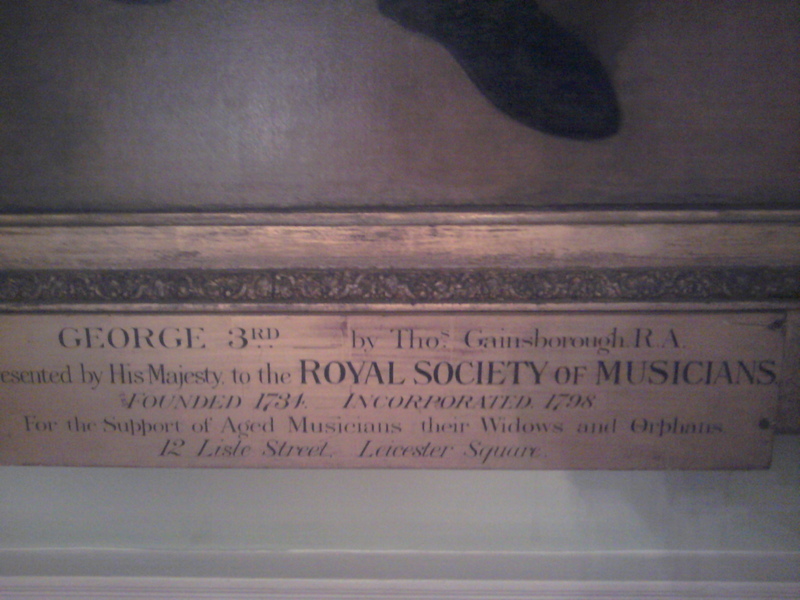 The society is actually Britain’s oldest musical charity was founded in 1738 as the Society of Musicians, with a ‘Fund for Decay’d Musicians’ which sounds pretty appropriate to me. I’m rather chuffed to have been accepted into an organisation which has been running longer that my country of birth. I had the whole thing planned out as I wanted to go to the Safari Club gig later that same evening so I was going to park the van at Finchley tube station and then nip down to London on the Northern line using my Oyster card, then get back in time to listen to some amazing jazz while eating some great Indian food. The only trouble was the trains weren’t running. There was a replacement bus service but I was damned if I could find it. In the end I drove down to central London and managed to find a parking space just outside The Wigmore Hall (appropriately) which meant I was about 10 minutes late for the meeting. Thank god I don’t have to rely on public transport. The Sarfari gig later was excellent as usual. On the 10th, the Hoedown Band was meant to be gigging at a local hotel. In the afternoon before the gig I got a call from someone who was coming out to check us out for their wedding who had checked with the venue and been told there was “no band on that night”. Concerned, I called the duty manager who told me that they ‘only did gigs at the end of the month’. Unfortunately the manager I had negotiated the gig with was not available so I had to hurriedly call the rest of the band to say the gig was off, before they started to travel. This is a classic case of the left hand not knowing what the right hand was doing. To be honest, the management didn’t treat us very well at previous gigs we had played there, and it was only the enthusiasm of the ‘other’ manager that kept us going back. This is a problem with gigs like this at pubs/hotels, especially if they are owned by one of the big corporate breweries. This particular cancellation was annoying both because of the lost gig/fee, but because it may have scuppered a well paid function gig as well. So that’ll be the last time we play there. However, since then I’ve had discussions with another local owner run pub to move this regular event to The White Swan in Dunstable. 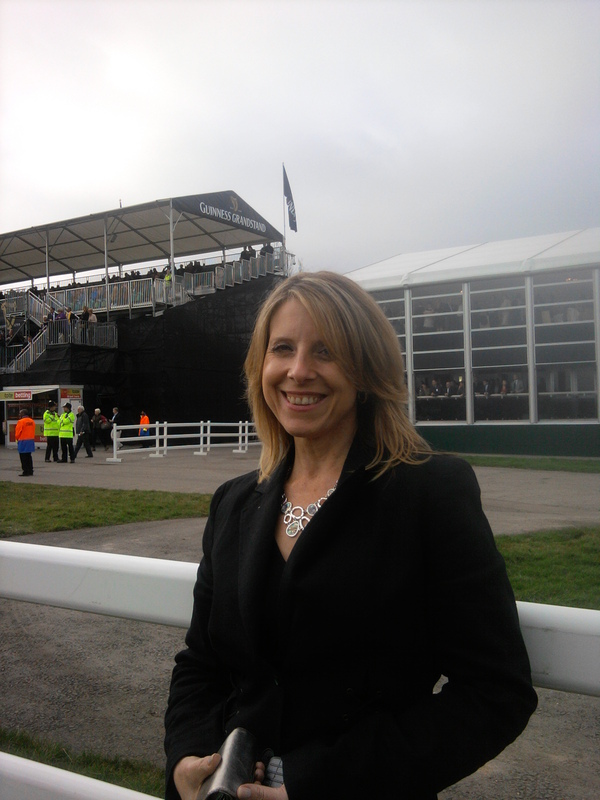 In the week before St Patrick’s night my band enQ had a four day gig at one of the corporate venues at Cheltenham Racecourse for the Gold Cup week. This is the second year we’ve done this and we managed to iron all the technical issues that plagued us last year. I was quite a long day and I had decided that we should stay at Bloxham which is about an hour’s drive away. 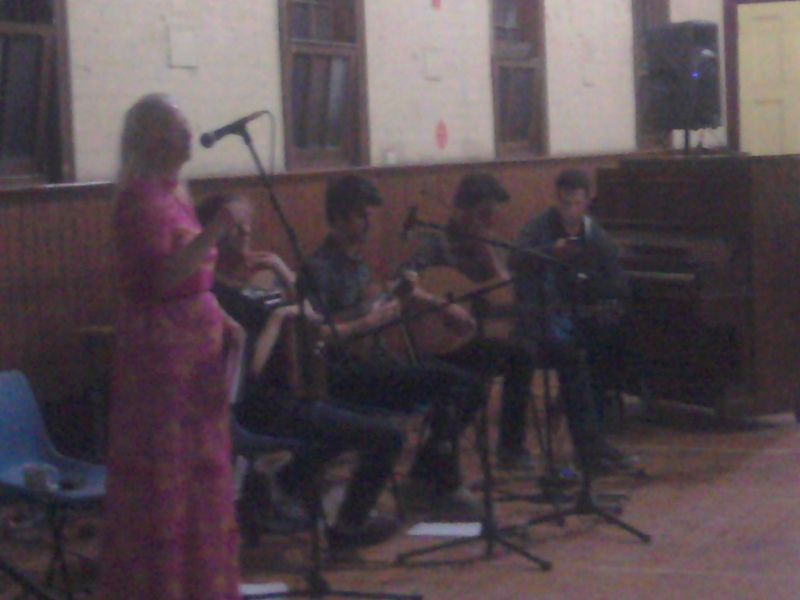 We were doing a programme of about 60 songs and tunes every day which were a mix of celtic (Irish) and country songs and instruments, mainly dance tunes. The music went down pretty well and we got a number of tips but the main event for the punters was the racing. I guess that this was an example of how live music can raise the profile of the event. There’s something very classy about having a live band making the the background music that recorded music can’t compete with. Sunday was mother’s day so we treated her to a traditional Thai Sunday lunch at a local restaurant. After this it was just a matter of packing and heading off to the airport for my flight to Australia. A the end of January I decided to do something about my ‘free range musician’ idea so I started a page on Facebook and nabbed the top level domain. The idea is that musicians who are making a living out of playing music are a different breed from those who have day jobs – whether it’s in an orchestra or signed up to a record company (or whatever). A Free Ranger is unlikely to be ‘famous’ in terms of the media scrum, they may have had their share of accolades in various forms, but the main point is that they get all, or at least a major proportion, of their income from performing or recording music. This usually means a ‘portfolio’ career, i.e. they do a number of things to earn a crust – usually with some link to their career in music. So they will often teach (music), MC or stage manage events and festivals, write, edit, publish, manage or work in the funded arts or music retail sector. 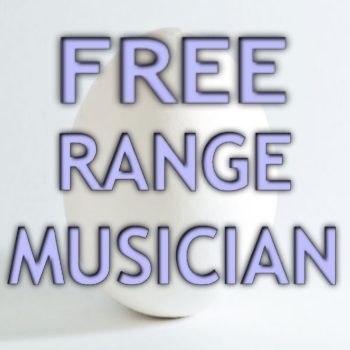 The Free Range musician may well have other sources of income outside of the music ‘industry’ but the significant point is that they have no ‘day job’ to fall back on. The difference between a Freelance and a Free Range Musician is that the former is a job description while the latter is a ‘life choice’. Free Rangers may well freelance but not all freelancers are ‘free range’. 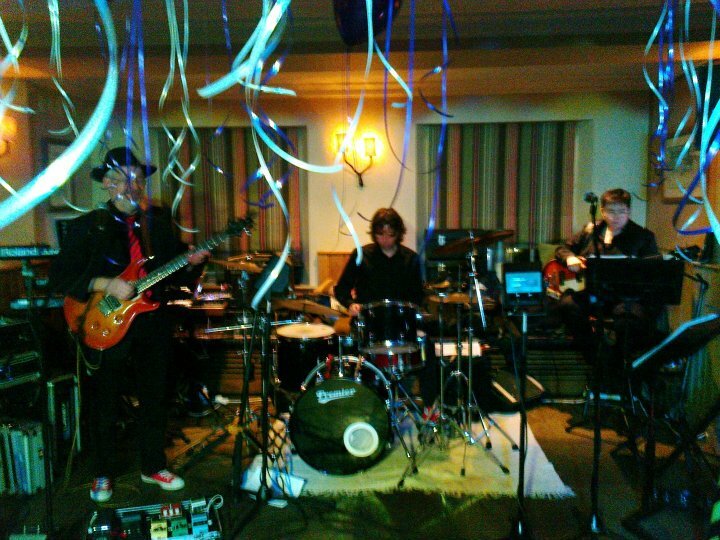 On the first Saturday in the month I did another dep gig, this time with Liz Scholey’s band (Fire Cracker) for a very posh household near Hampton Court Palace. 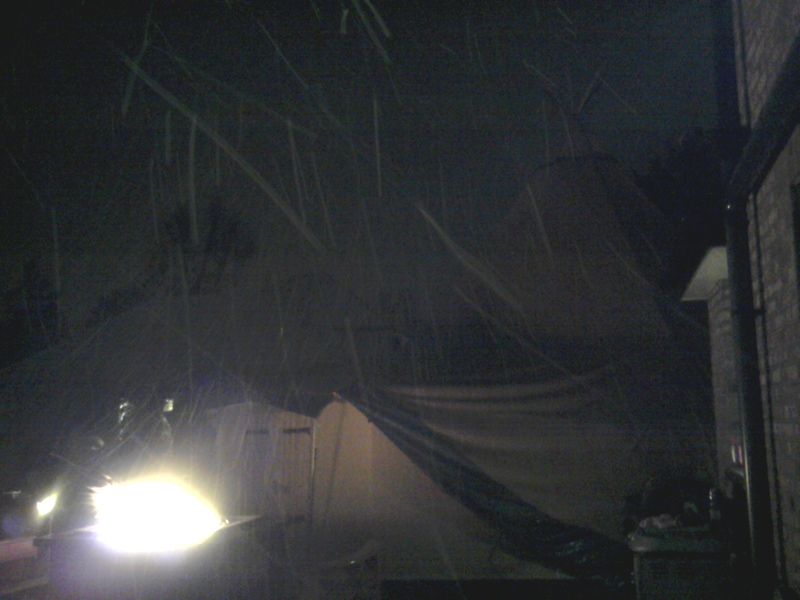 The residence itself was a rather petite, but none the less palatial, affair with the actual gig in a tipi set up in the garden. The event was made more interesting by the fact that it started to snow heavily just as I pulled up at the front – which put a bit of a damper on the BBQ. The household were very welcoming and the trio seemed to go down pretty well with a programme of barn dance. line dance spiced up with a few songs. The audience suitably attired in Counntry and Western gear, which for an English audience is a perfect excuse to to let rip and have a good time. 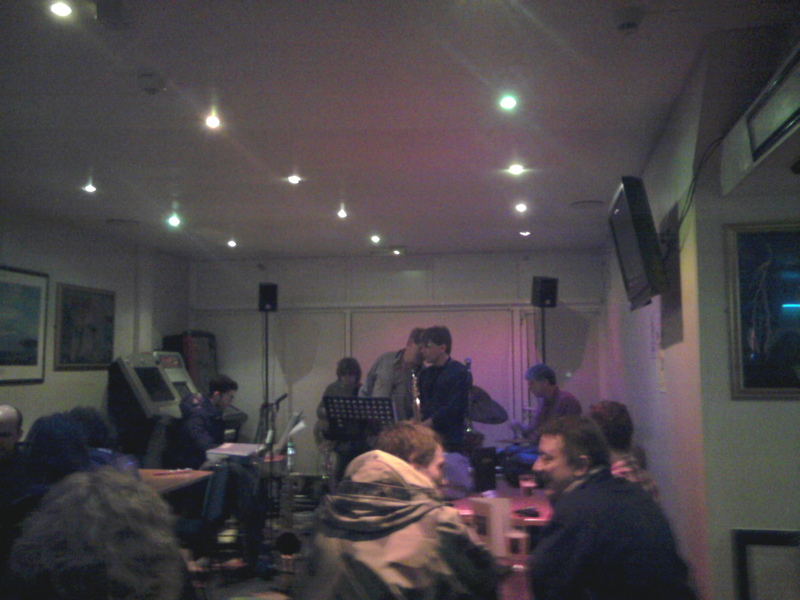 The next evening I went to listen to some jazz in Finchley with a couple of muso friends – Tim from The Quirky and Mike who drums in a number of my projects. This gig is a regular jazz session at the Safari Bar and Resturant on Finchley High Road and happens on the first Sunday of the month. It’s run by jazz drummer Rick Finlay and usually features members of his band Just East of Jazz. 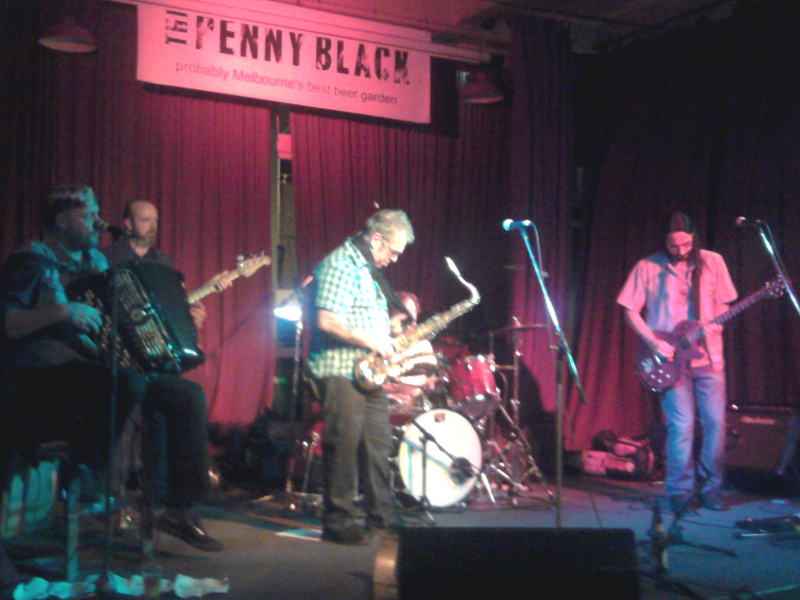 This particular night the band featured the well regarded sax player Derek Nash and the ‘house’ band played quite a few of his arrangements to great effect. This is a real session, so often features members of the audience who either get up and sit in, or do solo spots. The club was quite full despite there being a couple of inches of snow on the ground outside. I usually feel that English audiences are easily deterred by inclement weather – which I find surprising since they have so much of it. However jazzers must made of sterner stuff, since the Sarfai bar was almost full. 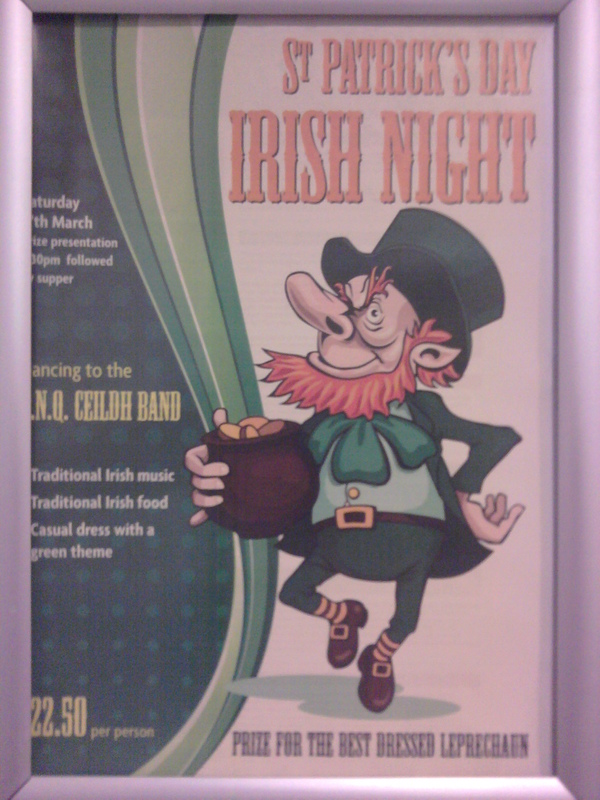 On Friday 10th February we held the last Chiltern Ceilidh for the foreseeable future at the Polish Club in Dunstable. A sudden change in the management of the venue only made known to us the day before the dance. The new management basically gave us our marching orders and now seems that the Polish Club in Dunstable have no wish to engage with the local community. We oginally shifted from using St Mary’s Hall to the Polish Club two years ago due the fact that it was both a better venue and the management were very supportive. We had already looked exhaustively for a suitable local venue without any luck until we hit the Polish Club. The series had been “teetering on the brink” due to a numer of factors and this latest news was the last straw. On Friday 24th, Bob Harding-Jones and I were asked to perform an excerpt of our “Thinking about our world..” show as part of the World on One Stage event. The gigwas organised by the Student’s Union of the Luton Campus of the University of Bedfordshire as part of their multicultural community week of events and took place in the new UK Carnival Arts Centre in Luton. This was a showcase of dance, music and theatre from a mix of students and performers from the local community. We had a 15 minute slot and we sort of ‘top and tailed’ a couple of segments with the show intro and outro. This little spasm actually allowed us to try out some new stuff – a completely new poem / pairing on the topical topic of our friends the bankers. Bob wrote a completely new poem and I resuurected a song I’d written when Nick Leason broke Baring’s Bank – I just glad that the banks learnt that lesson and stopped doing dodgy investments (oh well, perhaps not). We also tried a couple of technical innovations. When I found out about the rest of the show content, I was worried that our acoustic duo version of the material would lack impact, so I mixed a set of full backing tracks for the music segments. These were played back from my Android ePad tablet PC and I played electric guitar through my new Blackstar HT-5R guitar combo. The segment went down very with aplause and laughter in all the right places and the Bankers’ Blues number was well received by the audience of mainly students. 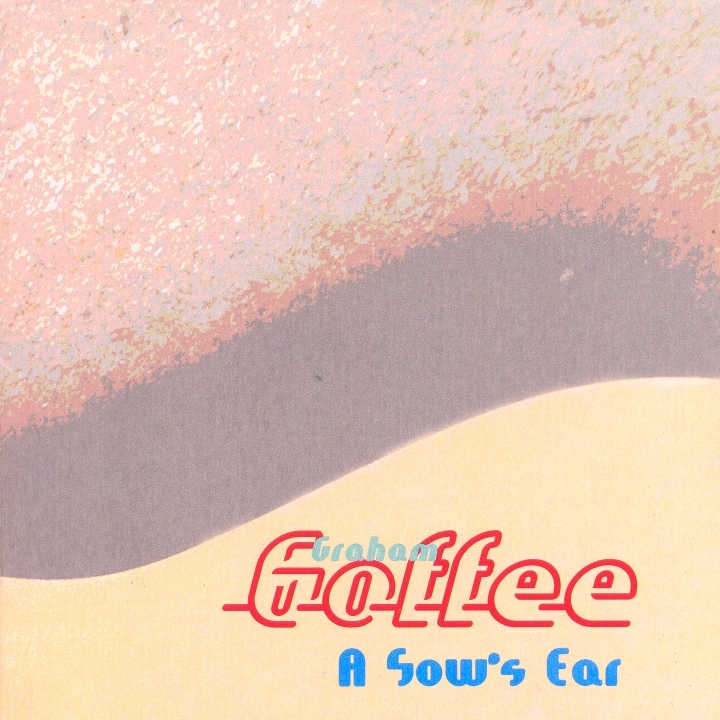 Graham Goffee sent me a copy of his new CD. I’ve known Graham since I lived in St Ablans in the 1980s when we had a band (Innocent Bystander) which ended up as a pretty straight blues/rock outfit. During this time I wrote a number of blues songs including “Forty Days of Rain” which was finally recorded on the WoodworX album. For this CD Graham graham goes right back to basics. Just his guitar and voice going straight to tape with just a touch of reverb, like the classic blues’ men of the last century. I must say that it’s a bit strange hearing one of your own songs performed by someone else. Still, I really like the whole album. My oh My, doesn’t the time fly…. Gigwise, January is usually a bit like the Parson’s Egg, starting out quite dead with a burst of activity near the end as people put on Burns’ Night events to celebrate the Scottish poet Rabbie Burns (for background see here). This year the Burns’ work was pretty well absent, with just one gig – a regular one for army medical officers down in Aldershot. More about this later in the blog. 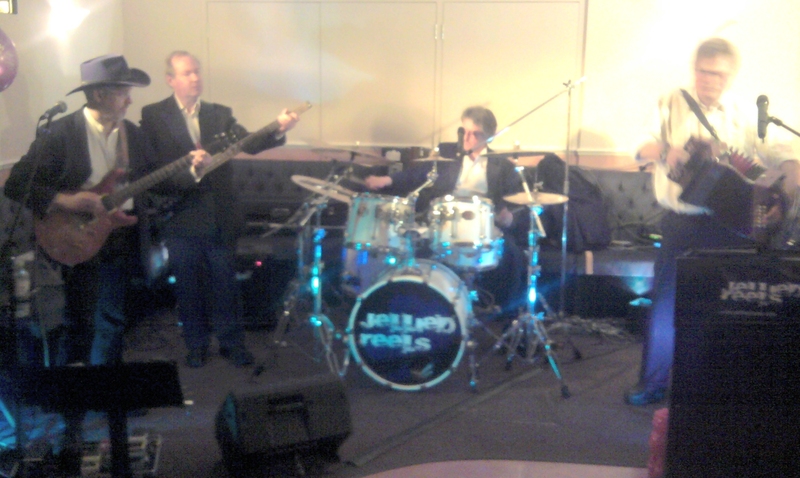 At the beginning of the month I depped on guitar for the Jellied Reels, a barn dance band who can also do a rock’n’roll set – sometimes during the dances! The band is run by melodion player Steve Howe, who I used to work with in Nightwatch (the predecessor of MoonDance). Steve is one of the few melodeon plays that I’ve worked with who I rate highly, the others being Martin Hallet, Roger Watson, Simon Care, Paul Scourfield and Simon Bannister. Dave Good, who was also in Nightwatch, plays bass with the band and it was good to ‘rock out’ with the guys. Still no change there then! You can see the history of the MU here. By chance the MU’s biennial conference falls on the anniversary year so the plan is to hold it in Manchester to celebrate Joe’s initiative. The one Burns’ ceilidh I had was at the Officer’s Mess in Aldershot to a bunch of medical officers who were just about to head off to Afghanistan as part of the international force based there. This is the fourth year we’ve done this and they all had a great time. You can see a video from one of the previous events below. I don’t know why there were so few Burns’ gigs this year – perhaps the thrifty scots were hanging onto their cash in these financially straitened times. On the other hand it could be that there has been an increase in ‘hobby’ bands who are seriously undercutting the professional outfits working in this field. I just received a request from someone (via a mutual friend) to find a dep accordionist for a ceilidh gig next weekend. The gig was one of those function-at-a-military base things that people who aren’t me seem to play at this time of year. Timings? 11pm-1am. The “fee”? FIFTY QUID FLAT. I’ve posted part of my reply here because I think that it’s important. Many of the modern folk scene’s movers/shakers/kingpins could use increased awareness of the problem, in my humble opinion. “Not sure whether it’s your band or somebody else’s, but I thought I should highlight the fact that, if everyone is being paid a similar fee to the above, then the band has gone out for not much more than their expenses to play a function gig at a decent venue. To put it bluntly, this kind of thing is becoming a real problem for people like me whose livelihoods depend on these gigs. Most professional traditional musicians in the UK rely on playing for dances at private engagements fairly regularly as a major part of their annual income, and every year amateur bands going out for anywhere between expenses only to, say, 60% of a proper fee seem to be on the rise. They get away with it because, sadly, Joe Public’s quality threshold for trad or “folk” music is relatively low (south of the border, at least). These bands are undercutting professional outfits up and down the country and every month they eat up hundreds of gigs that could’ve paid, say, each musician’s council tax for that month, or vehicle insurance premium, or gone some way towards getting the rent together for the 1st, or … etc. etc. It undoubtedly has a lot to do with the fact that I have no Burns ceilidh gigs in the diary this year, and had none last year either. I won’t bore you with my Scottish dance-band credentials, but trust me, that’s ludicrous. It’s squeezing every pro player I know on the circuit (whether they realise it or not), and in this tough financial climate it seems wrong not to point out that people with day jobs taking these gigs and charging next to nothing are helping to kill off an entire profession. We both work in a field that requires a lot of skill, professionalism, dedication and which people are quite prepared to do for free, or at least at well below the market value. Amateur and hobby musicians often don’t have the supporting skills needed to support their musical hobbies, boring stuff like Public Liability Insurance or an appreciation of Health and Safety. So, leaving aside things like Public Liability Insurance and legal contracts, it seems strange to me that bookers are prepared to trust such a vital aspect of an important event to someone who does it as a hobby? The stupid thing about it is that (as the above points out) there are many opportunities for low pay / no pay gigs out there without having to steal the bread off the table of pro working musicians. Perhaps the truth of the matter is that English society just doesn’t want to have a cadre of dedicated professional musicians to perform live music. Instead, music would be provided by cheapo discos and bumbling amateur bands. August turned out to be quite a busy month for me. 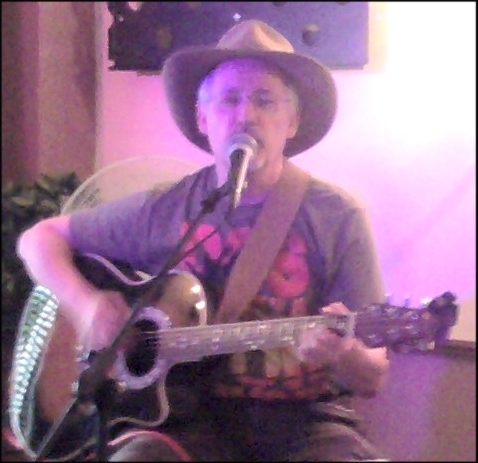 Apart from the usual run of function and pub gigs, I started a regular Thursday night gig at the Four Kings Bar and Cafe in Dunstable. The idea came to me as I was walking past it on the way to the regular Tuesday night session at the Globe pub on the other side of town. 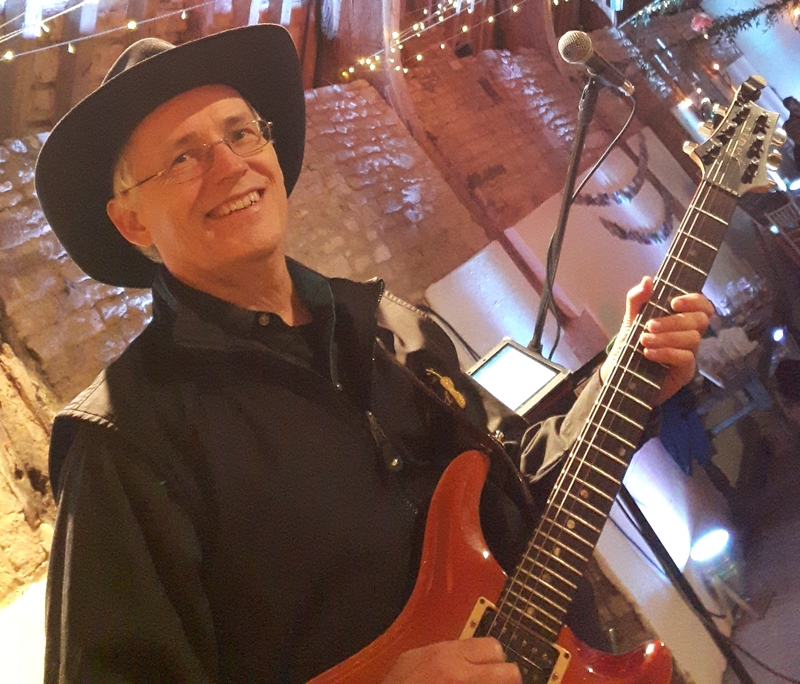 It occurred to me that there was no live music going on in Dunstable on a Thursday and I thought that I could exercise my acoustic repertoire as well as try out new songs, collaborate with other local musicians and so on. It could also give me the opportunity to encourage other local musicians to come and try out new material or even just socialise. What I had in mind was a sort of halfway house between a session/open mic and a full concert. In short it could provide a stepping stone for anyone who fancied stepping up to the next level. As the Four Kings has a house PA and a small stage, all I needed to do was get a couple of mic stands and modest microphones to handle two or three players. I spoke to Jamie (the manager) and he was keen, though there was no money to make it a paid gig. I’d been doing the gig a couple of weeks before I realised that this was the first solo performance I’d ever done. Apart from sing-arounds and open mic nights, I usually work with a band, or at least in a duo, so I sort of side stepped into this without giving it two much thought. In general the regular event went well and it was a bit of an education for me. The first is that I felt very exposed sitting up there on stage by myself. When you are part of an ensemble, even just a duo you feel you have some support from the other players so it becomes a team effort – sort an ‘us’ and ‘them’ situation. When you are solo it’s not only exposed, but you’re up there all night so you have to have a certain level of confidence to be able to function. August was also the time of the riots in London which didn’t directly effect me, but caused a gig to be postponed. 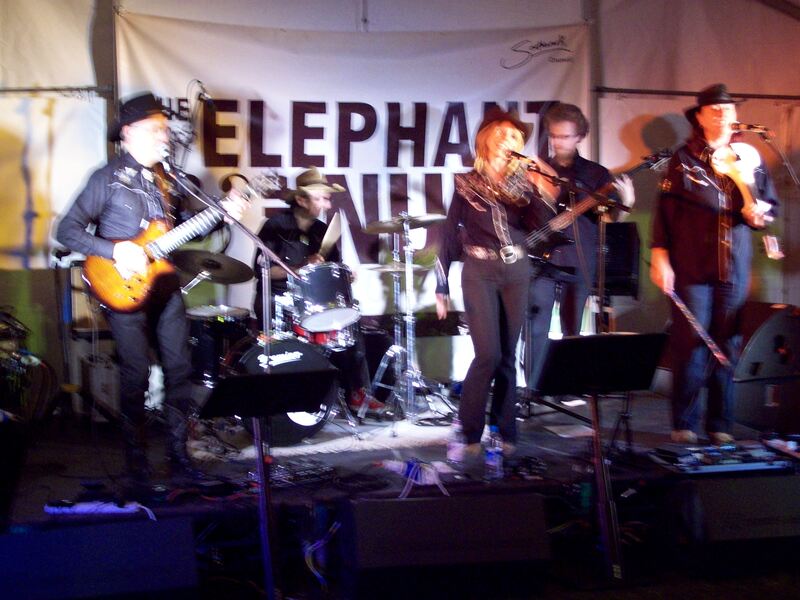 The Hoedown band had been booked to perform at one of the open air venues at the “Elephant & Nun” Festival that was taking place at various parks in and around the Camberwell area of South London. The festival was sponsored by Southwark Council which covers the Elephant and Castle, Walworth, Kennington, Camberwell, Peckham and Nunhead areas – thus the slightly odd name. The decision to postpone the festival was taken at very short notice as the riots were at their peak the weekend before the festival. The main reason was that the police felt that they could not guarantee the safety of the participants if the rioting continued. Hoedown Band performing at the Elephant & Nun Festival, delayed due to the riots in August. This was almost certainly the right decision, but somewhat disappointing as the new date was in the second half of September. The weather in September can be cooler and wetter and this turned out to be the case when we did the gig. However the band went down very well and everyone had a good time despite the thin drizzle. 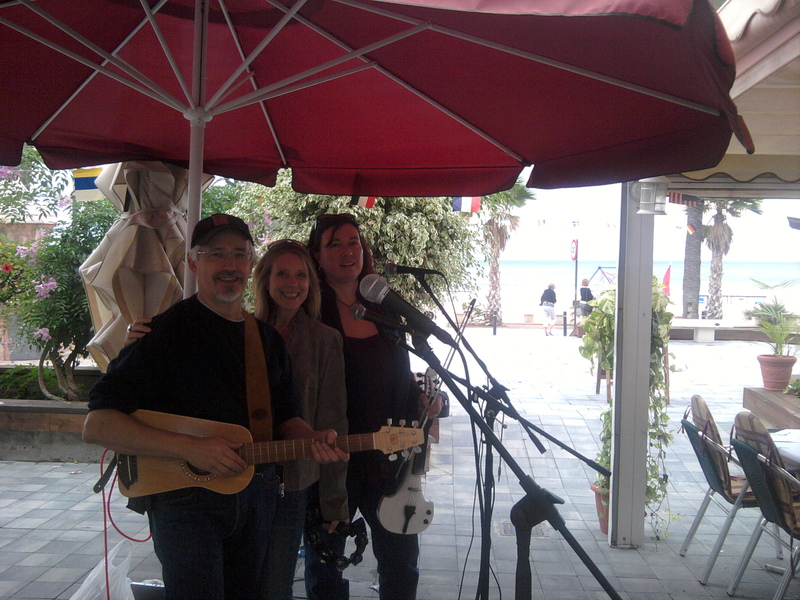 There was an ace ukulele band preceding our slot who doing everything from Britpop to jazz standards. The end of August, beginning of September is also usually when Dunstable Town Council tends to put on a big outdoor event – at least for the last decade or so. First a bit of history; the idea of having a music festival in Dunstable was first conceived as a folk music based event by the Town Council back in 2000, around the time that the Queensway Hall was knocked down to make way for ASDA. I was approached to help with the music programming of the music due to my involvement in the folk scene and I persuaded them to broaden the remit to make it more of a folk / world music fusion event. As well as the Saturday night concert in Grove House Gardens, there was a showcase of local music on the Sunday hosted by local folkie and author, Martin Banks. The festival was scheduled on the first weekend in September so that it wouldn’t clash with other larger events in the area – such as Towersey Folk Festival – on the bank holiday weekend. This also meant that local residents – who after all paid for the festival – would be back from their holidays. The intent was to encourage local businesses to get involved, putting on live music events that would be included in the festival brochure. Despite the success of this format, the council decided to turn it into a more general rock music festival which meant it was pretty pointless doing the ‘Festival Ceilidh’ so we didn’t bother this year. There was a fair amount of local involvement from bands such as Subset, The Nimblewits, Sarah Doe and Jonny Fever, Macband and the big headliner (sic) being Soulfish. All the acts did a splendid job and the technical support as always was great. This year the stage management was organised by local promoters the Majick Music Group. It didn’t quite have the seamless approach of previous years when Rick Christian filled the change-overs with his folk country style songs. Anyhow, while I was watching the concert I was wondering whether the music content was losing some of its broader appeal and becoming more focused on a particular age group. The great strength of the festival was that it was very inclusive appealing to all ages. This might be a reason that numbers were down this year, though this might be simply due to the fact that there wasn’t a ‘name’ band on the bill. Anyway, we were asked to open the new season of Manchester Ceilidhs and the freshers’ ball for the Sheffield University Ceilidh Society. The gigs were two days and 30 miles apart, albeit in opposite sides of the Pennines. The gigs seemed to go down really well though, as the fees were very low, they really didn’t pay for themselves. I guess the social dance will remain in the hands of amateurs and hobby bands. October saw a performance in Hertford of the duo version of “Thinking about our world” with poet Bob Harding-Jones. It’s a spoken word and music show which takes a wry look at the state of the world we live in. The performance took place in a Quaker Meeting House which turns out to be an ideal venue for this kind of thing. We invited special guest Sarah Doe as a support and it all seemed to go down very well. I rather like the idea of putting on this show at friends meeting houses around the country – the format and the subject matter fit in very well with the Quaker philosophy. Gigs started to tail off in October, though will the regular Thursday night’s this didn’t seem obvious at the time. One high point was an invitation to perform at the 15 Minute Club in Milton Keynes which I did as a duo with Hoedown Band singer Dawn, doing a mix of my original material and some acoustic country songs which included the first outing of a slow ballad that I had written specifically for Dawn. I also started using Soundcloud to make public demo’s I’ve made over the years. You can checkout the tracks by going to my Soundcloud home page. I will be adding new tracks on a regular basis so be sure to follow me if you want to be notified when I do – or you can follow me on Twitter (@Brian8ch). At the end of October I stopped doing the regular Thursday gigs as the audience response was extremely variable in return for the considerable effort I was putting in. Looking back I remember that there were some pretty good nights and great performances from other musicians who turned up on occasion; especially Sarah Doe, Paul Hegley, Gerard Haughy and Rick camp. But in the end, for any thing to be viable it needs to return something to the players, or at least get a regular audience. Whoever said ‘Thursday night is the new Friday’ obviously doesn’t live in Dunstable. 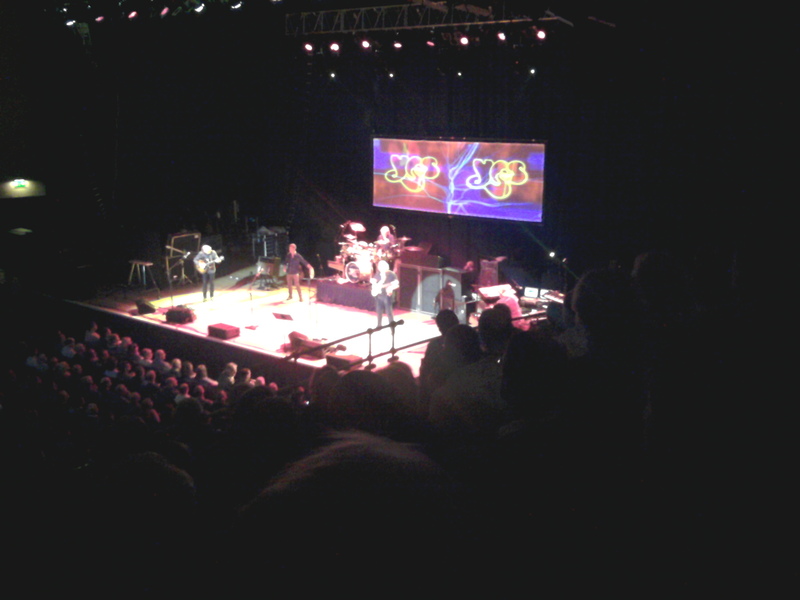 Early on in November I went up to see one my favourite bands – Yes – perform at Sheffield City Hall. I don’t really consider myself to be a fan of any band but Yes would be the nearest I get. I guess thay must have influenced me since I just missed their tour of Australia in 1973. My best mate at the time, Rex, saw them and raved about them so much that I bought their current album -Close to the Edge – and was immediately hooked. I have seen them live a couple of times now and like the way that they are always adding to their cannon of work, rather than simply rehashing old stuff like some ‘heritage’ bands. This the first time I’d seen them without Jon Anderson on vocals and – while the current incumberant got close to Anderson’s panash – he didn’t quite manage to pull it off. 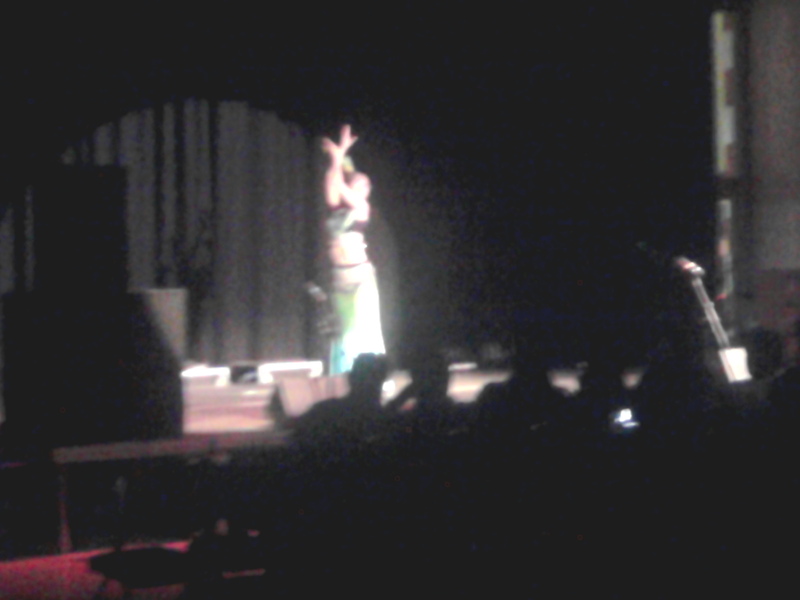 Still, the concert was immensly enjoyable. Later in the month I went over to the Costa Blanca region Spain for almost two weeks with the rest of the ‘front line’ of the Hoedown Band to try and see if we could get some work for the full band. Sian, the fiddle player’s dad lives in the area and we had the use of an apartment via a friend of the Dawn (Hoedown’s lead singer). These connection’s meant that we some leads and we did manage to get some acoustic gigs in the area, though not as many as we’d hoped. The area has a high concentration of ex-pat Brits which means that country and celtic music is in demand though as most of the Brits are on fixed incomes, they don’t want to spend much on entertainments. However we did make some good connections and it looks like it’ll be commercially to do a couple of weeks over there next summer with the full band. Hopefully I’ll get us out of England during the chaos of the Olympics. December kicked off with a recording session for a local country acoustic trio called Americano in my studio. The band members include Alan Hewson and Hamish Currie who I’ve known for sometime along with bass player Rich Banks. They were very pleased with the result describing the demo tracks in their press release as being “beautifully engineered by Brian Heywood”. The tracks are on Soundcloud if you want to have a listen. The Chiltern Ceilidh in the middle of the month marked something of turning point of the public dance series when it ceased being a monthly event. Unfortunately, with a few notable exceptions, the series never managed to attract enough of a local audience to make the events viable over the year. This is complicated by the fact that the active members of the Chiltern Ceilidh management team have moved away from the area and not enough local volunteers have been forthcoming to fill the gaps. So from the start of 2012, the series will be reverting to quarterly, using local musicians and callers who are prepared to donate their services for expenses. Whether this a permanent arrangement will depend on both audiences and the availability of volunteers to help out on the night. December also marked the end of my first tenure on the Executive Committee (EC) of the British Musicians’ Union (MU). This is the governing body of an organisation that represents the interests of over 30,000 working musicians in the UK and has an annual turnover and assets measured in millions of pounds and employs fifty staff. The EC is broadly equivalent to a board of directors and all the members are elected by the members of the various regions. Broadly speaking the EC decides on the MU’s policy while the secretariat led by an extremely capable elected General Secretary – John Smith – advises and implements these policies. After some thought, I decided to stand for re-election and was voted in by the members on the East & Southeast region of the union for another two year term. Next day (Sunday) I head up to Sheffield to help install Lisa in her new ‘shared’ house which will be her abode for her second year at Uni. It’s not very far away from her previous year’s halls of residence but is further up the hill. The previous occupants have left the place in a bit of a state – to be expected from male students I guess. Lisa’s room is right at the top of the house which means that it’s a bit a trek to get her stuff up to the attic. I then had to get back for my students who I teach on Monday evenings. 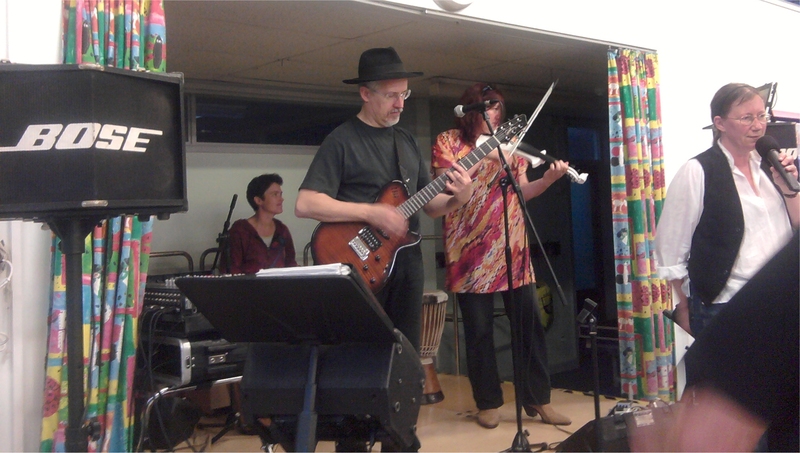 The next gig was another MoonLighting on Friday the 8th at a School in Wandsworth. It was meant to be out of doors but as the weather was very windy and we were worried about rain we managed to pursuade then to relocate it indoors. 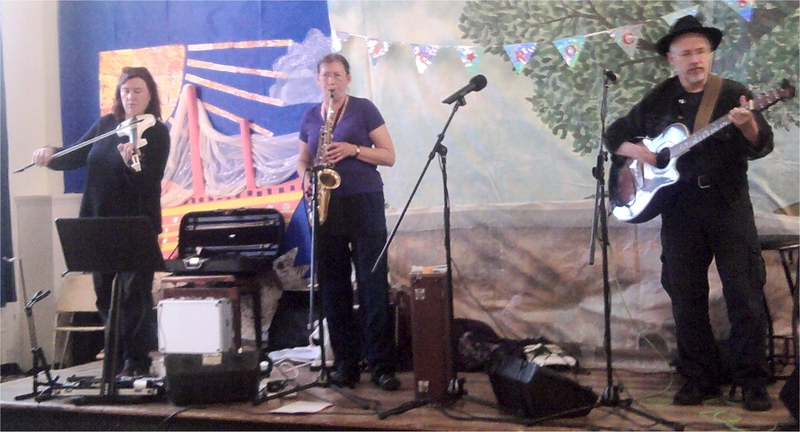 Unusually for us, there was no percussion and Ali played sax and accordion, with Sian on fiddle and myself on acoustic guitar. Lisa called and everything went very well indeed – she’s becoming very experienced – not surprising since she’s pretty well grown up in a social dance environment. 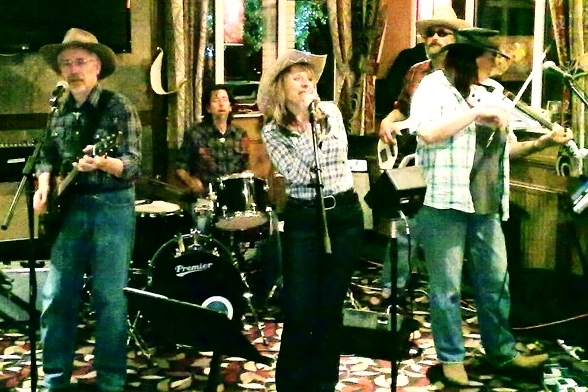 The following day I had my first Hoedown Band gig of the month in Rochester (Kent). This was a wedding function with the fantastic Liz Scholey calling. She is an amazingly engergetic and skill dance caller and teacher and the only person I know who can kick higher than the top of her own head. 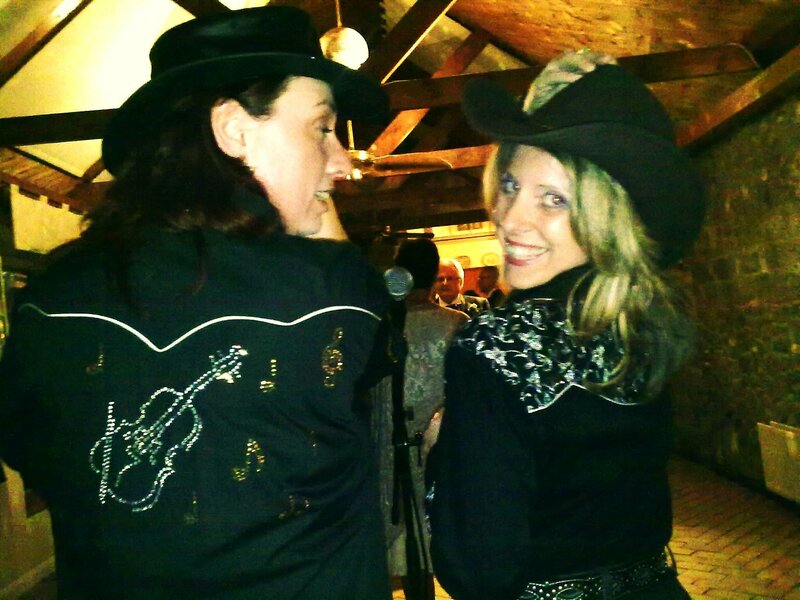 The band has been working on a new – black – playing kit for this kind of posher function gig and Sian was showing off her new fiddle design on the back of her shirt (see photo). I actually managed to get some quality time in the garden with some summer sunshie. One of the great things about having a camera on a mobile phone is that you can take snap a spontaneous snap without having to lug a seperate image capture device around with you. 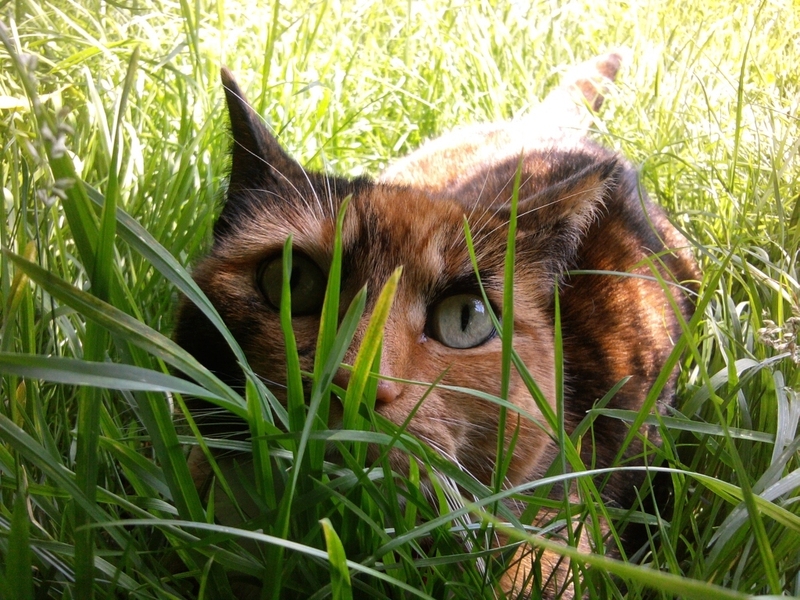 Here I’ve caught Dazzle in full ‘jungle mode’. As you can see the alternating heavy rain and sunshine has turned the lawn in to a lush velt – which caused the mower to fail. 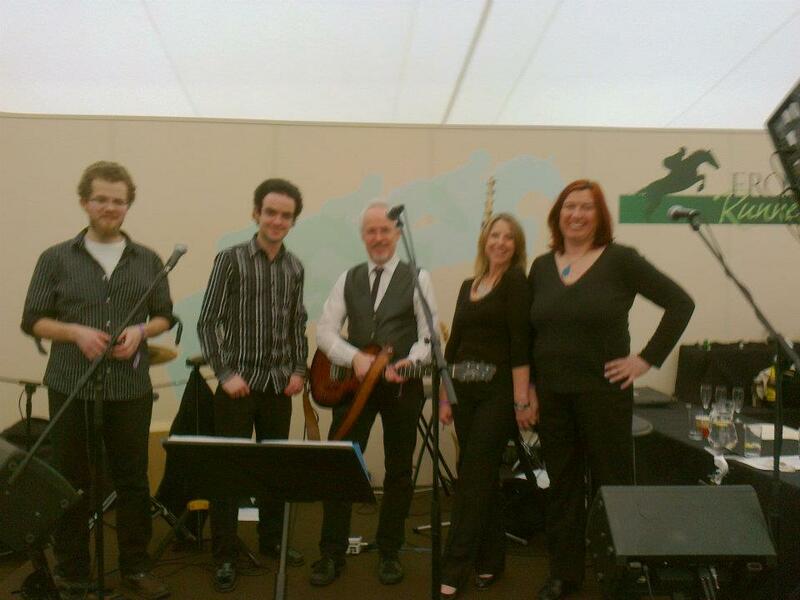 After this, my next gig with the Barn Dance Band in Whitchurch with my old mate Gary Munelly on drums. This was in a nice old barn and, despite Liz having a leg injury, everyone had a cracking time. 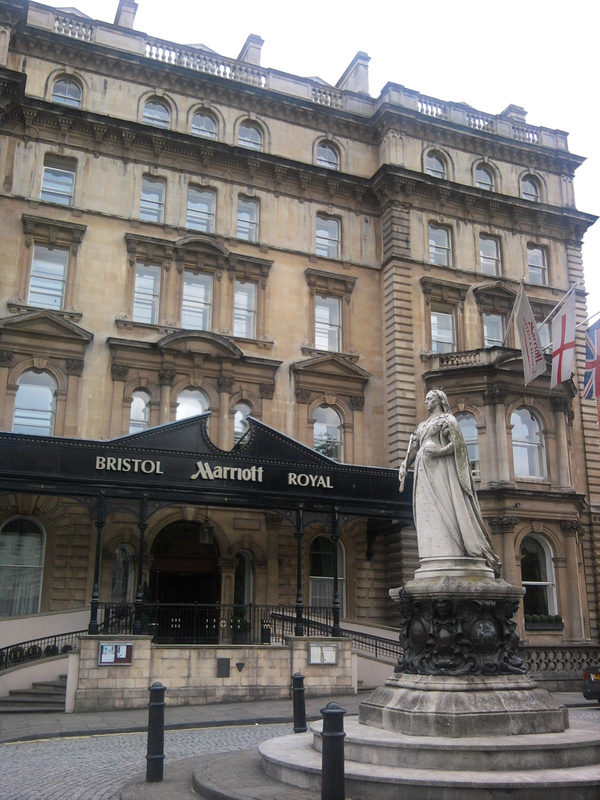 The month ended with the Musicians’ Union Biennial Conference which took place in Bristol this year. The conference allows the Union activists to review the actions of the Executive Committee and the secretarariat as well as put motions and generally debate the issues effecting the union, the membership and the music business as a whole. As a sitting EC member this mean that I had to get there are day early so we could see the final motions and help formulate the EC’s responses. There were also some great guest speakers – including a great speech from the labour MP John McDonald who is something of a firebrand. There are also lots of opportunities to socialise through out the two days – to make new friends and renew acquantainces. We even had a a chance to make some music at a jam session in the bar on one of the evenings with Ian Lindsey (Black Diamond Band) and rock fiddler – Pete Hartly. I was also persuaded by jazz tromponist and fellow EC member Gail Brand to give Twitter another go – so anyone who wants to follow – I tweet under the ID of Brian8ch. 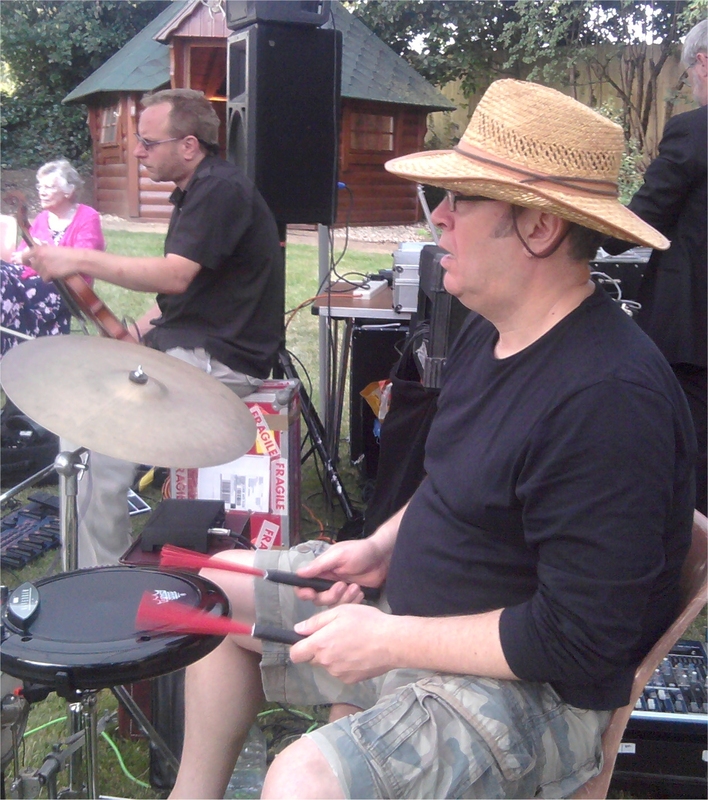 After getting back from Bristol I had two more gigs – another open air gig barn dance / ceilidh with MoonLighting with Mark Knight (madfiddler) and Gary Munelly on a Korg Wavedrum. I was very impressed with this device which is a hybrid acoustic / V-drum with the signal source being the vibrating drum head rather than an electronic simulation. This semms to give a lot more expression and dynamic range than a purely electronic device like the Roland HPD. I remember when the first model came out in the mid 1990s – a very cool instrument but priced outside the budget of most working musicians. The new drum doesn’t look quite so cool but is much more affordable – worth checking out if you need a very portable and flexible percussion instrument. Sunday saw a covers gig with my band Stencil with our first gig at a local hotel called the Highwayman on the southern edge of Dunstable. I’ll have more to say about this venue next month.